For entrepreneurs who want to start their own businesses, the vending machine business is a viable option. It's profitable (the industry generates $33 billion annually), and you need only one vending machine and stocked supplies to get started, according to Forbes magazine. Though a vending machine business is among the easiest to start, regular maintenance and stocking is required. Besides the initial legwork required to establish a vending business, vending-machine owners are often busy traveling from machine to machine refilling stock, collecting money, repairing machines and scouting new locations. 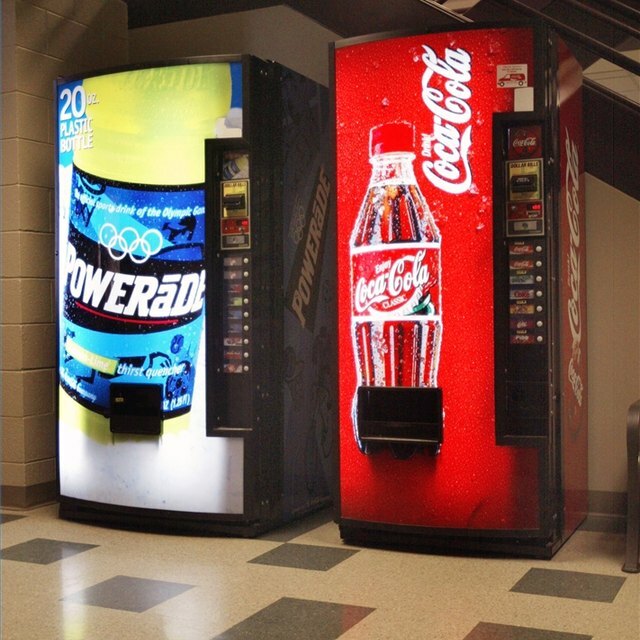 Research your options before purchasing a vending machine. Pay attention to the types and styles of vending machines around town and at places you frequent. Conduct additional research by going online and canvassing the variety of vending machines available and comparing prices. Business.com has a list of suppliers and tips on matching products to your market. Consider the benefits that go with the vending machine you will buy, and see if it will help your business. Sites such as gumballs.com offer a wide variety of machines plus a variety of bulk supplies. Some vending machine sales companies also give free consultations and ongoing professional advice. Size your machine or machines according to the space available in the location you'd like to place your machine. Check out used machines. If you are thinking about buying a used machine, see how much the newer version of the same machine costs. Make sure the used machine you are considering is fully operational. Inspect the coin receptor and validator to ensure that they are updated and functional. If possible, choose a machine with a dollar-bill changer, which could raise sales by 30 percent. Get a factory warranty for your vending machine. If you are buying a used machine, see if the previous owner can transfer his warranty to you. If you don't have enough to pay for a new or used machine up-front, inquire about a payment plan. Base the items you sell in your machine on the market profile of the traffic around your vending machine. According to Vending Machines NC, beverages and ice cream usually sell well. Other suggestions for items to sell include stickers, toy capsules and tattoos for children; bouncy balls and candy for teens; and snacks and mints for adults. If your vending machine is in a company break room, survey a segment of the staff to find out what they like. Shop around for wholesalers who have the types of products available for your customer demographic. Compare prices and buy in bulk when possible. Some vending machine sellers will assist you with finding local wholesalers. Choose high-traffic locations for better sales. Forbes.com says schools and hotels are best. Other options are new businesses, sites with outdated equipment, billiard parlors, restaurants, warehouses, factories, car dealerships, industrial parks, malls, real estate offices, banks, tech schools, hospitals, nursing homes, skating rinks, golf courses, offices and service centers. Make sure there is an electric outlet where you want to place your machine. Ask the manager of the establishment where you desire to install your vending machine if you can place your machine on his site. If the manager gives you the go ahead, offer a commission and have him sign a written agreement outlining the terms of your partnership. Observe your site for an hour or two to determine how many customers you may have. If your machine is in an office building, find out how many employees the company has. Add your overhead costs such as transportation (car and fuel), vending machine supplies, and commissions. Then use this to determine what you will charge for items on sale in your machine. Your expenses will vary based on your supplies. If one item doesn’t sell well, you can switcch it to something else. The fact that you can tweak products along the way can increase your profits. Fifty percent of making this business work lies in maintenance. Make sure your machines are always functioning well. Many charities will give you stickers to put on your vending machines, usually for $1 per month per machine. Some store owners will allow you space in their stores for free if you are associated with a charitable organization. Usually vending machines are safe from vandalism because they are in high-traffic areas. If the location is questionable, chain your machine to a sturdy fixture inside the store.